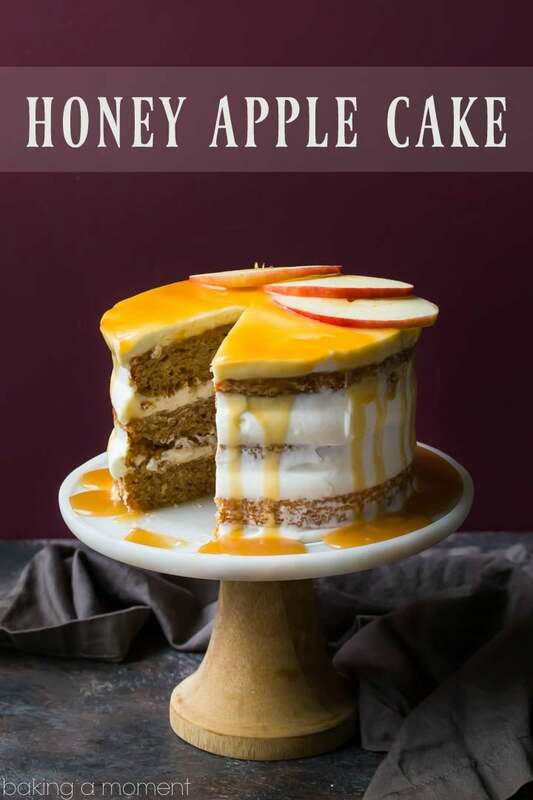 Make this apple honey cake for your family this season! 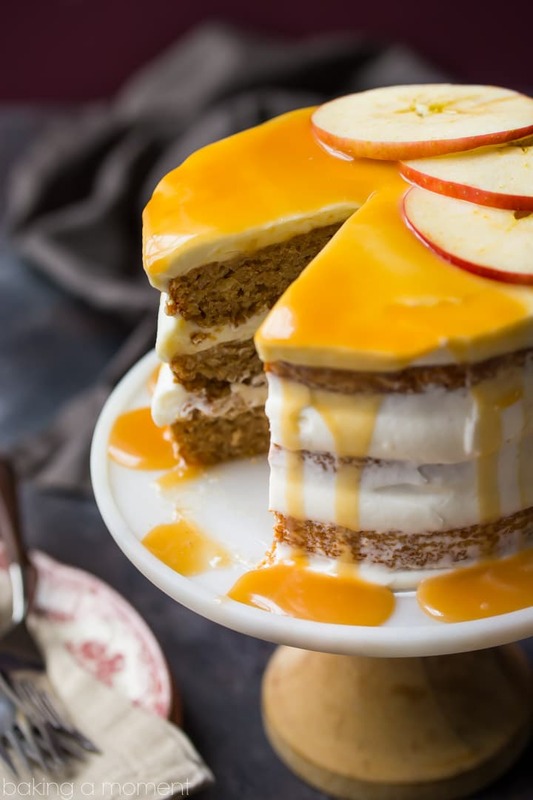 Subtly spiced apple cake is layered with cream cheese frosting and drizzled with a honey caramel. It’s mid-September! And there’s no doubt about it. It feels every inch of it, with the temperatures cooling, the leaves beginning to change, and the days getting shorter. It’s at this time each year that I start thinking about all the delicious apple treats I can bake up for friends and family. 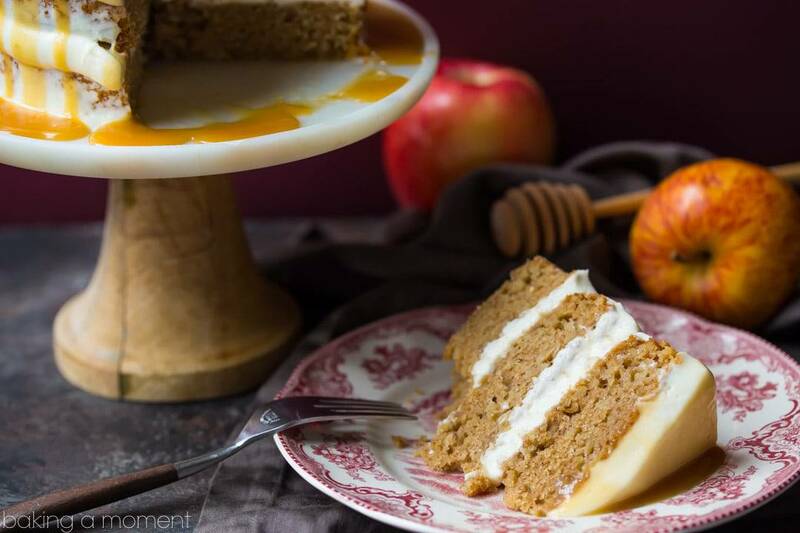 And with Rosh Hashana being next week, I couldn’t wait to share this Apple Honey Cake with you! It’s a perfect way to celebrate the holiday (apples and honey are a traditional way to welcome a sweet new year), or even just the start of the gorgeous fall season. The apple cake is pretty simple and straightforward, with plenty of real apples, apple cider, and a hint of cinnamon, filled and covered with a fluffy cream cheese frosting. But the crowning touch is the honey caramel drizzle. Honey Caramel! Seriously… this stuff has opened up a whole new world for me. I didn’t think it would be much of a big deal, subbing some honey in to my favorite salted caramel sauce. But I almost fell on the floor when I tasted the end result. I could not believe the difference! That little bit of honey yields a completely different flavor from anything I’ve ever had before. The sauce itself is a little lighter in color, and thinner in consistency, but the taste is so much earthier, deeper, and toastier. I’m obsessed! You have to try this for yourself! Q: What is cake flour/do I have to use cake flour? A: Cake flour is finer and lighter than all-purpose flour and it helps the cake to have a finer crumb and a lighter texture. I prefer to use it for that reason. If you want to skip it though, you can replace it with an equal amount of all-purpose flour. The cake will just be a little more dense and heavy. Q: Can I bake this cake in a different sized pan than that which is noted on the recipe? A: You can, but you could end up with thicker or thinner layers, depending on the size you choose. With that, bake times will need to be adjusted. 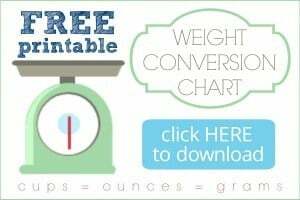 If you try it, I’d love for you to leave a comment below, telling us what size you used and how long it baked. This way, other readers can benefit from your experience! Q: Can I make this cake ahead? A: I think it’s actually best to do it that way! Make the apple cake layers ahead and wrap them tightly in plastic wrap. They’ll keep for a few days in the fridge or a few weeks in the freezer. The honey caramel will keep at room temperature for up to 2 weeks. And I would make the frosting and fill/frost the cake at least a few hours in advance and refrigerate it, before topping with caramel and serving. You may notice in the video above, my cake looks a little wobbly and the frosting is trying to make it’s way out of the sides. It’s because I didn’t have time to refrigerate it! I was in a hurry to finish up the video, but after the cake was chilled it held its shape much better. And that is that! 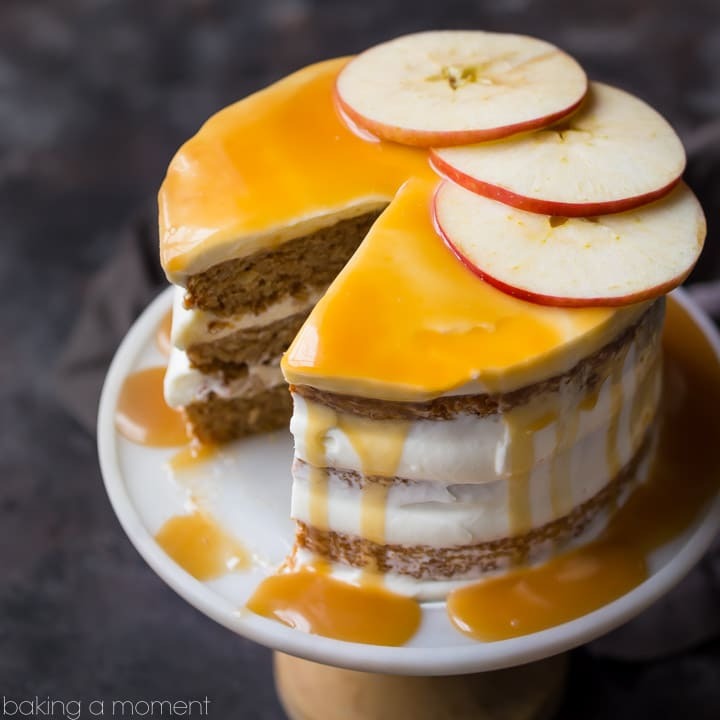 I really hope you’ll give this delicious apple honey cake a try. It’s a lovely fall dessert, and especially perfect for the Jewish New Year! Check out my Rosh Hashana category, for lots more great Jewish New Year recipe ideas! And find more great cake recipes on my “Cake Recipes” Pinterest board! Preheat the oven to 325 degrees F, mist three 6-inch diameter cake pans** with non-stick spray, and line with circles cut from parchment paper. Place the flours, cinnamon, baking powder, baking soda, and salt in a large mixing bowl and whisk to combine. Place the brown sugar, honey, oil, apple cider, eggs, vanilla, and lemon zest in a large liquid measuring cup, and whisk to combine. Bake for 25 to 30 minutes, or until a toothpick inserted in the thickest part of the cake comes out clean or with a few moist crumbs. Place the cream cheese in a large mixing bowl and beat (with the whisk attachment) on medium speed until smooth. Add the powdered sugar, and stir in until well-combined. In a slow, steady stream, add the cream while continuing to whip on medium speed. Place the sugar, honey, and water in a larger pot, and heat over a medium high flame, swirling the pot occasionally to distribute the heat evenly. *Rub the apple slices with the cut side of a lemon to prevent browning. **This recipe can be baked in other sized pans- but it will affect the thickness of the cake and the bake time may need to be adjusted. ***Take care not to over-whip the frosting, or it could become runny. For more info click here: Whipped Cream Frosting. Thank you so much Olga! I’m so happy you like it! This looks so delicious. I’m going to make it for a family gathering this weekend. Thanks! Yay! Hope you love it as much as we did. Thanks for reading! So glad you like it Carole! I will try to swing by. So impressive! Such a gorgeous cake, and perfect for the fall season! Thank you so much! I’m so happy you like it! Looks sooo good, what type of apples did you use for the shredded part of the recipe? I believe I used Honeycrisp apples for this cake, but feel free to use whatever you have on hand Michelle! Granny Smiths are another favorite for me, but anything that hold up well for baking should work just fine. I love, love apple dessert and this layer cake is amazing! You had me at honey caramel! Oh and cream cheese frosting. And spiced apple. Okay this recipe is amazing!